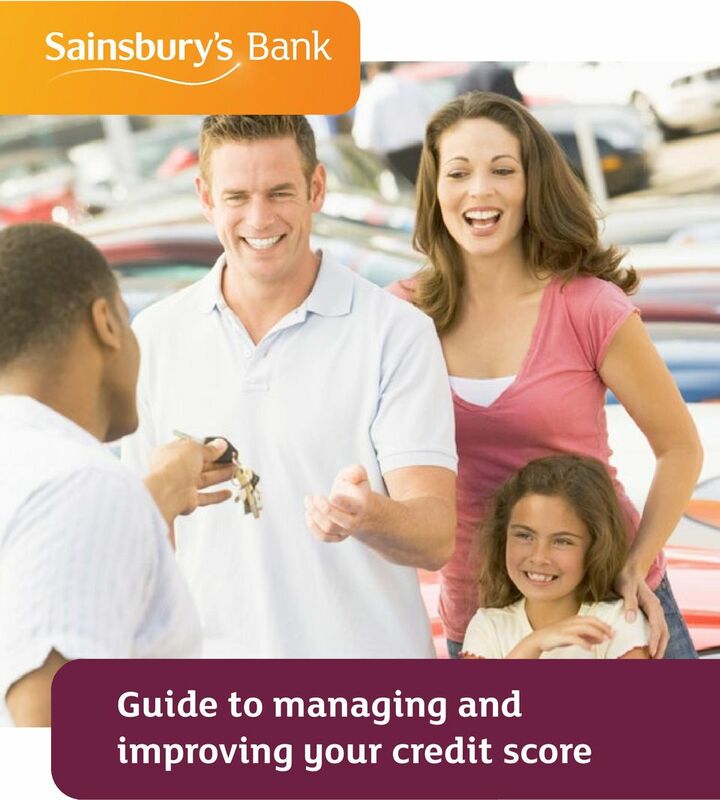 Download "Guide to managing and improving your credit score"
2 What is a credit reference agency? A credit reference agency, or CRA, is an independent organisation that records financial information about an individual or a business. This financial data is used to build a picture of an individuals or business credit history - a credit score - which is then accessed by lenders when a consumer applies for credit. Any searches from a lender on a credit file will leave what is known as a footprint. 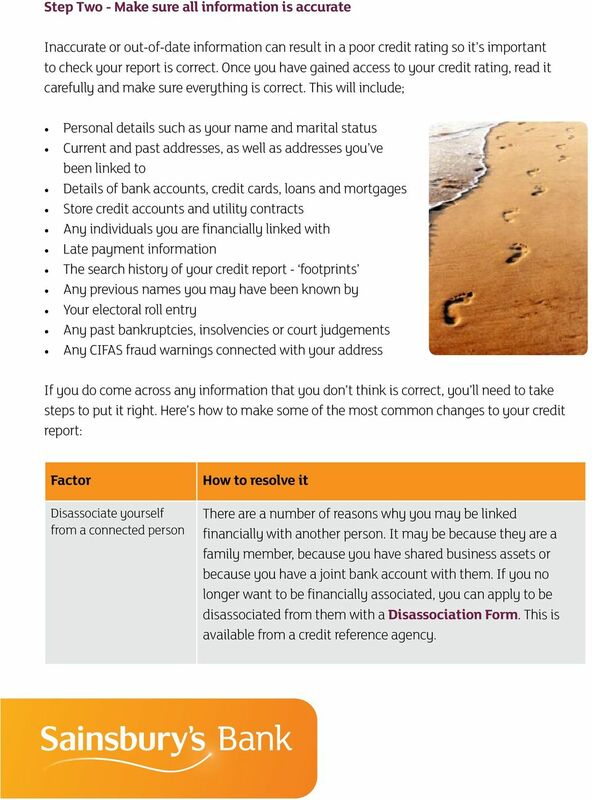 These footprints are kept on file by CRAs and are visible to both lenders and customers. Credit scores are taken into account by lenders when they choose whether or not to approve credit. All lenders assess credit scores in different ways, and a score that s deemed acceptable by one may not be by another. 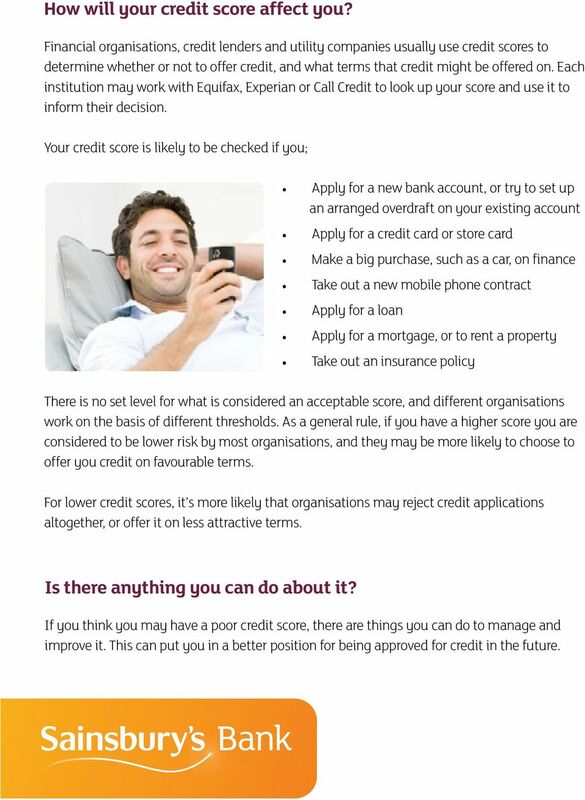 What is a credit score? Your credit score is a rating that represents how creditworthy you are in the eyes of banks, financial organisations and any other lenders that use CRAs. It s generated by summarising information from your credit report, which is compiled by the credit reference agencies. Credit scores typically range from 0 to 999. 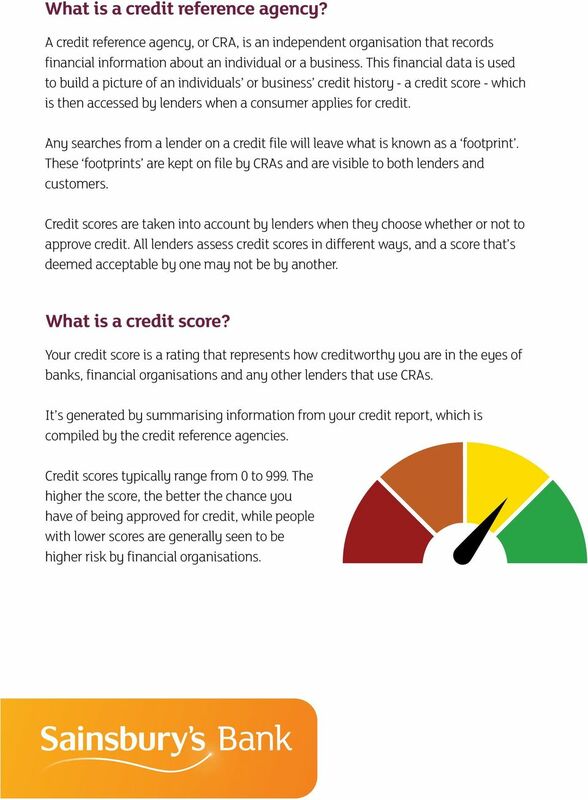 The higher the score, the better the chance you have of being approved for credit, while people with lower scores are generally seen to be higher risk by financial organisations. 3 How is your credit score compiled? In the UK, there are three main agencies that compile credit scores and ratings. These agencies are: Equifax, Experian and Call Credit. Each of these agencies collects information from banks, financial organisations and utility companies in order to compile reports. It s worth noting that not all of your information will have been shared with all three agencies, so there may sometimes be differences between each agency s report. A large amount of financial history will be recorded in credit files that may have a positive or negative impact on a credit score. Things that can affect it positively include; Making loan or mortgage payments on time Using a credit card responsibly Not going over any pre-arranged credit limits Being on the electoral roll at your registered address Things that can have a negative impact on your credit score include; Missing or making late payments on a personal loan or mortgage Going overdrawn on a bank account without a pre-arranged overdraft Having a financial association (such as a joint bank account) with someone who has a poor financial record Applying for credit too frequently Rent payments are not currently taken into account for credit scores, but this is set to change. Experian are developing a Rental Exchange service which will give tenants the option of making their rental payment history visible on their credit report. 4 How will your credit score affect you? 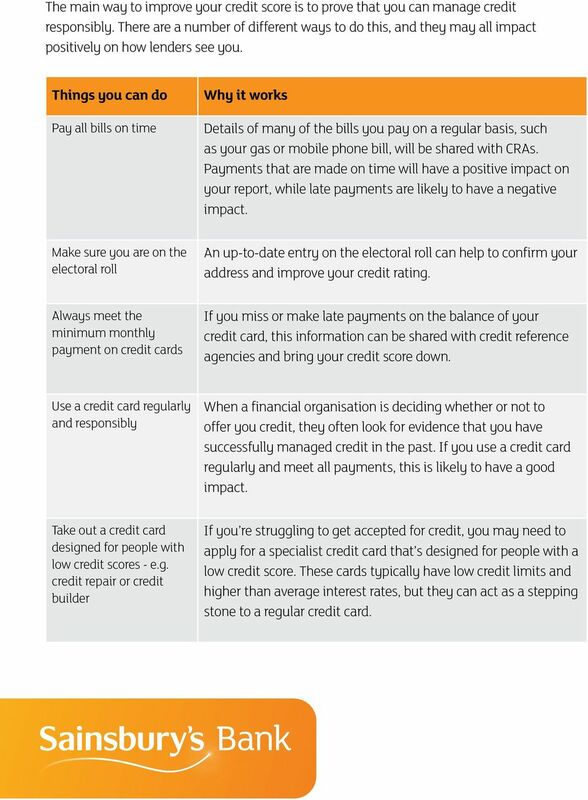 Financial organisations, credit lenders and utility companies usually use credit scores to determine whether or not to offer credit, and what terms that credit might be offered on. Each institution may work with Equifax, Experian or Call Credit to look up your score and use it to inform their decision. Your credit score is likely to be checked if you; Apply for a new bank account, or try to set up an arranged overdraft on your existing account Apply for a credit card or store card Make a big purchase, such as a car, on finance Take out a new mobile phone contract Apply for a loan Apply for a mortgage, or to rent a property Take out an insurance policy There is no set level for what is considered an acceptable score, and different organisations work on the basis of different thresholds. As a general rule, if you have a higher score you are considered to be lower risk by most organisations, and they may be more likely to choose to offer you credit on favourable terms. For lower credit scores, it s more likely that organisations may reject credit applications altogether, or offer it on less attractive terms. Is there anything you can do about it? If you think you may have a poor credit score, there are things you can do to manage and improve it. This can put you in a better position for being approved for credit in the future. 5 Checking and managing Step One - Check your credit score The more you know about your credit report and credit score, the better prepared you ll be to manage and improve it. It s important to check your report regularly to make sure all the information it contains is correct - you can check with each CRA as to best practise for checking your score. If your credit score is based on incorrect or out of date information, it could result in you being unfairly refused credit. Everyone has the right to know what information the three credit reference agencies hold on them. If you would like to see a copy of this information, you can write to Call Credit, Experian or Equifax with your details for a cost of 2* Alternatively, the three agencies all offer online services that allow you to manage your Credit reference agency Online service What it costs credit reports online: Experian Credit Expert Experian s Credit Expert service offers a 30 day free trial, and is 14.99* per month thereafter. Equifax Equifax Equifax offers a 30 day free trial, and is 9.95* per month thereafter. CallCredit Noddle Noddle is a free service*. * Price correct on 10th October Please note these prices may change. Whichever service you choose to sign up for, you will need to provide your personal information as well as some information about your existing financial accounts. Once you have confirmed your identity, you will then be given access to your credit report and resulting credit score. 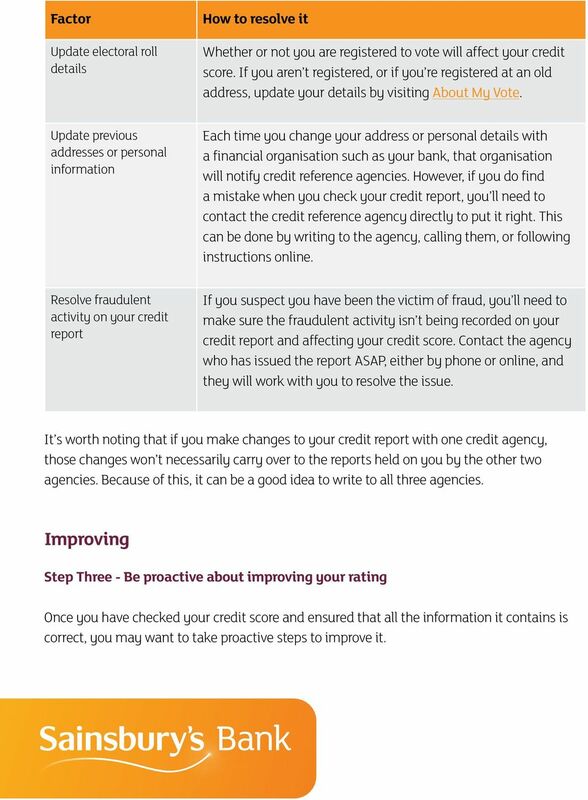 6 Step Two - Make sure all information is accurate Inaccurate or out-of-date information can result in a poor credit rating so it s important to check your report is correct. Once you have gained access to your credit rating, read it carefully and make sure everything is correct. This will include; Personal details such as your name and marital status Current and past addresses, as well as addresses you ve been linked to Details of bank accounts, credit cards, loans and mortgages Store credit accounts and utility contracts Any individuals you are financially linked with Late payment information The search history of your credit report - footprints Any previous names you may have been known by Your electoral roll entry Any past bankruptcies, insolvencies or court judgements Any CIFAS fraud warnings connected with your address If you do come across any information that you don t think is correct, you ll need to take steps to put it right. Here s how to make some of the most common changes to your credit report: Factor Disassociate yourself from a connected person How to resolve it There are a number of reasons why you may be linked financially with another person. It may be because they are a family member, because you have shared business assets or because you have a joint bank account with them. If you no longer want to be financially associated, you can apply to be disassociated from them with a Disassociation Form. This is available from a credit reference agency. 7 Factor Update electoral roll details How to resolve it Whether or not you are registered to vote will affect your credit score. If you aren t registered, or if you re registered at an old address, update your details by visiting About My Vote. Update previous addresses or personal information Each time you change your address or personal details with a financial organisation such as your bank, that organisation will notify credit reference agencies. However, if you do find a mistake when you check your credit report, you ll need to contact the credit reference agency directly to put it right. This can be done by writing to the agency, calling them, or following instructions online. Resolve fraudulent activity on your credit report If you suspect you have been the victim of fraud, you ll need to make sure the fraudulent activity isn t being recorded on your credit report and affecting your credit score. Contact the agency who has issued the report ASAP, either by phone or online, and they will work with you to resolve the issue. It s worth noting that if you make changes to your credit report with one credit agency, those changes won t necessarily carry over to the reports held on you by the other two agencies. Because of this, it can be a good idea to write to all three agencies. Improving Step Three - Be proactive about improving your rating Once you have checked your credit score and ensured that all the information it contains is correct, you may want to take proactive steps to improve it. 8 The main way to improve your credit score is to prove that you can manage credit responsibly. There are a number of different ways to do this, and they may all impact positively on how lenders see you. Things you can do Pay all bills on time Why it works Details of many of the bills you pay on a regular basis, such as your gas or mobile phone bill, will be shared with CRAs. Payments that are made on time will have a positive impact on your report, while late payments are likely to have a negative impact. Make sure you are on the electoral roll An up-to-date entry on the electoral roll can help to confirm your address and improve your credit rating. Always meet the minimum monthly payment on credit cards If you miss or make late payments on the balance of your credit card, this information can be shared with credit reference agencies and bring your credit score down. Use a credit card regularly and responsibly When a financial organisation is deciding whether or not to offer you credit, they often look for evidence that you have successfully managed credit in the past. If you use a credit card regularly and meet all payments, this is likely to have a good impact. 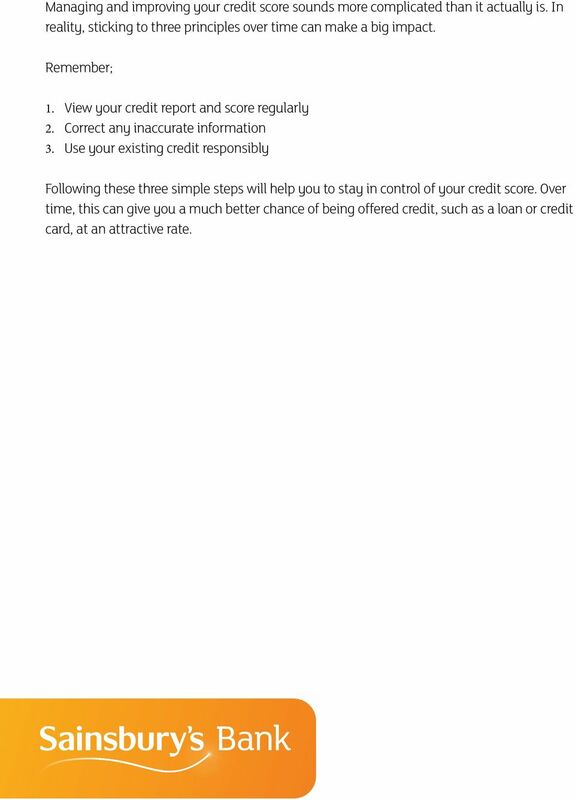 Take out a credit card designed for people with low credit scores - e.g. credit repair or credit builder If you re struggling to get accepted for credit, you may need to apply for a specialist credit card that s designed for people with a low credit score. These cards typically have low credit limits and higher than average interest rates, but they can act as a stepping stone to a regular credit card. 9 Managing and improving your credit score sounds more complicated than it actually is. In reality, sticking to three principles over time can make a big impact. Remember; View your credit report and score regularly Correct any inaccurate information Use your existing credit responsibly Following these three simple steps will help you to stay in control of your credit score. Over time, this can give you a much better chance of being offered credit, such as a loan or credit card, at an attractive rate. Thank you for sending us your credit file. We have now completed our initial review and the details are summarised below. What information does a credit reference agency hold? Credit Referencing Guide how your information is used? Data Protection: External Agencies. How we use your data when working with credit reference and fraud prevention agencies. Credit explained. Data Protection. What is on my credit reference file? What are credit reference agencies? How do I get my credit reference file? Refused credit? Reasons and rights. Important Using Your Personal Information A guide to how your personal information may be used by the Virgin Money Group and other organisations such as Credit Reference and Fraud Prevention Agencies. Important Data Protection A Guide to the use of your personal and business data by the Worldpay group companies and Credit Reference and Fraud Prevention Agencies 1 Q:What is a credit reference agency? The AFI Resource Center is pleased to provide this presentation about credit reports. DATA PROTECTION (JERSEY) LAW 2005 NO CREDIT? CREDIT EXPLAINED GD11 2 DATA PROTECTION (JERSEY) LAW 2005: NO CREDIT? 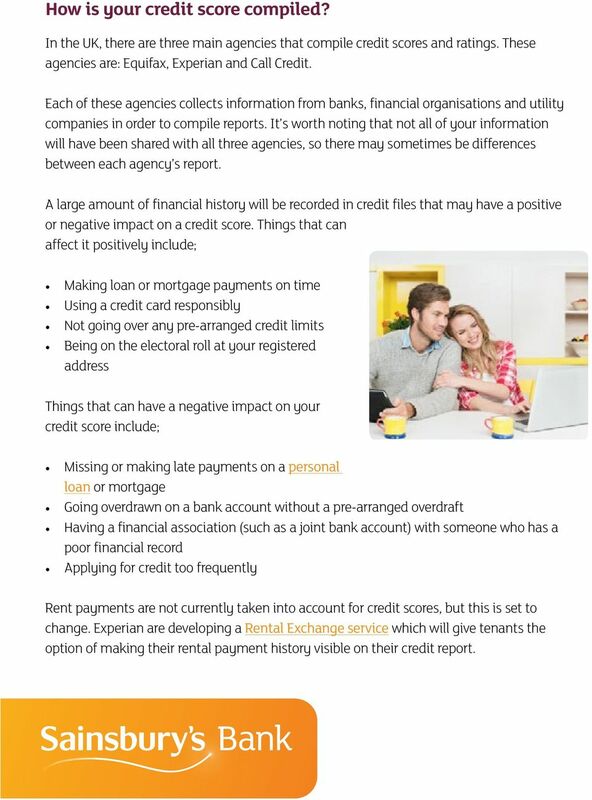 Credit explained Contents Section 1 How do lenders decide if they will offer me credit? Understanding Credit. The Three C s of Credit. What is a Credit Bureau? 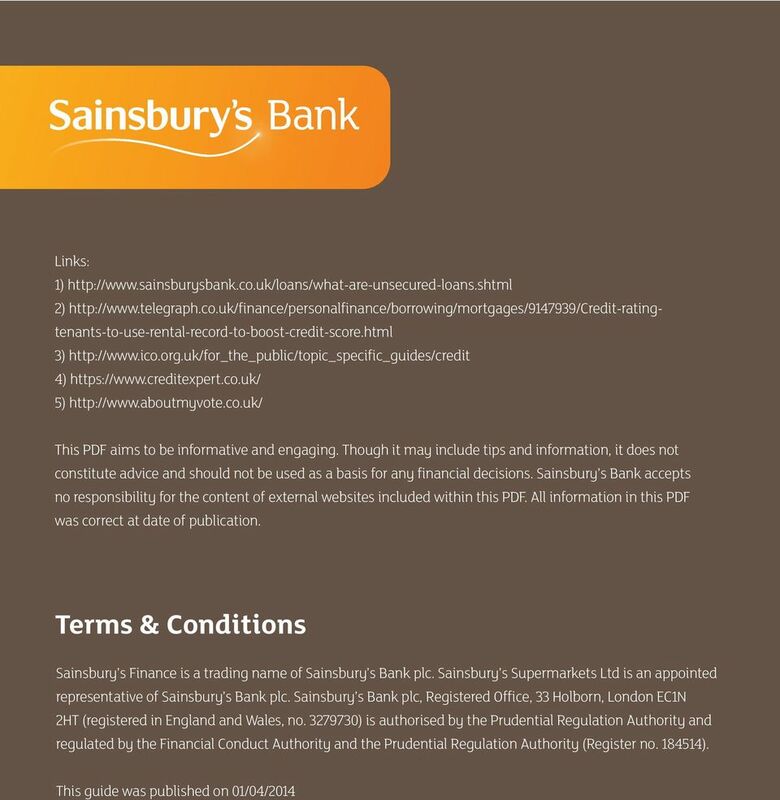 How uses your personal information Introduction When we refer to, we mean: Building Society; and its subsidiary companies, overseas branches and any limited liability partnership of which it is a member. NIGEL: It might be slightly unrelated. My son opened an account when he was 18, a current account. Do I mention the bank or do I not mention it? CREDIT SCORING. Here s how we work out whether we can give you credit. And what you can do if you re refused it. 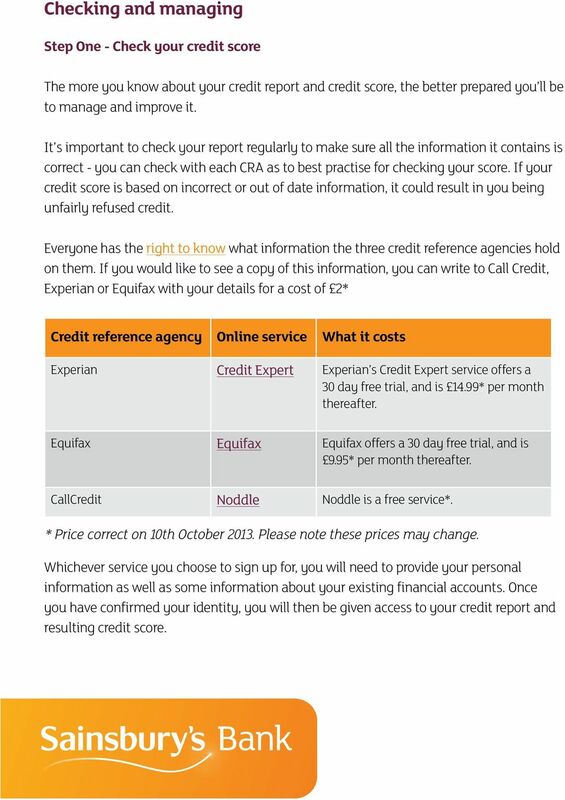 The credit reference agency explained A guide for consumer advisers The credit reference agency explained This Experian booklet is a guide for anyone whose role involves giving information to consumers. Your Credit Report 750. 670. 620. 575. You may not think about them every day, but your credit reports and the three little digits that make up your credit score probably influence your life in many ways. Your Credit Report 750. 670. 620. 575. You may not think about them every day, but your credit report and the three little digits that make up your credit score probably influence your life in many ways.